This website is all about the River Medway and the smaller rivers that feed into it. Explore these pages to find out more about your local river, what issues are affecting it and what the Medway Catchment Partnership are doing to restore its health. The Medway Catchment Partnership are a group of key stakeholders, individuals and organisations who have come together to help protect and restore the River Medway and its subcatchments. Unnatural river banks made of concrete and culverts, like the above, are just one of many issues that effect the health of the River Medway and it tributaries. The Medway Partnership have published a Catchment Plan to help steer and guide the restoration of the River Medway and all the smaller rivers that feed into it. 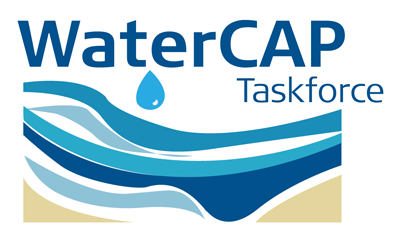 The River Medway website is home to the Medway Catchment Partnership. On these pages you can find out more about the rivers that join together to form this iconic waterway in Kent. Rivers are an important part of our landscape and provide us with many key services such as freshwater for drinking, recreational activities like angling and habitats for wildlife. However, over the years rivers have been overused, and with increasing populations we are putting even more pressure on our precious waterways. To help restore and protect the Medway, the Medway Catchment Partnership have created this online Catchment Plan for the river which identifies the key issues faced by the river, and what actions can be taken to bring it back to health. Explore the map below to find out more about the rivers which make up the Medway Catchment and the work organisations are doing to restore, enhance and protect the Medway for both people and wildlife. Together, the Upper Medway, the Middle Medway, the River Eden, the Beult and the River Teise form the Medway Catchment. The Medway is a large catchment covering 1,857 km2 of Surrey, Kent and East Sussex. There are a large number of historic sites in the catchment which highlight how important the rivers were for local industry and development. Historically, the power of many of these waterways was harnessed with weirs to turn mill wheels and drive mechanical hammers in many iron works. Other ponds were created for fishing - these were often associated with monasteries and priorities. A river's catchment is the term used to describe the area of land that influences it. The extent and shape of the catchment is largely defined by the lay of the land, the topography. An easy way to visualise this is to think of it as an upside down umbrella. When it rains, any water that falls over the umbrella will eventually flow down to the centre which represents the river. Rainfall that misses the umbrella will flow down to a different river in a different catchment. Rain falling on the boundary of two umbrellas, or two catchments, could end up in either one or the other and this boundary line is known as the watershed. To help with the huge task of restoring rivers back to health, the Catchment Based Approach (CaBA) was launched by Defra in 2011. CaBA recognises that all activities within the catchment can have an effect on the river that flows through it – even when some distance away from the river itself. This approach harnesses the skills, knowledge, enthusiasm and resources from a variety of organisations and individuals, all with a stake in the river, to maximise the effectiveness of projects and interventions within the catchment. You can find out more information about CaBA at www.catchmentbasedapproach.org. Copyright 2018. Medway Catchment Partnership.